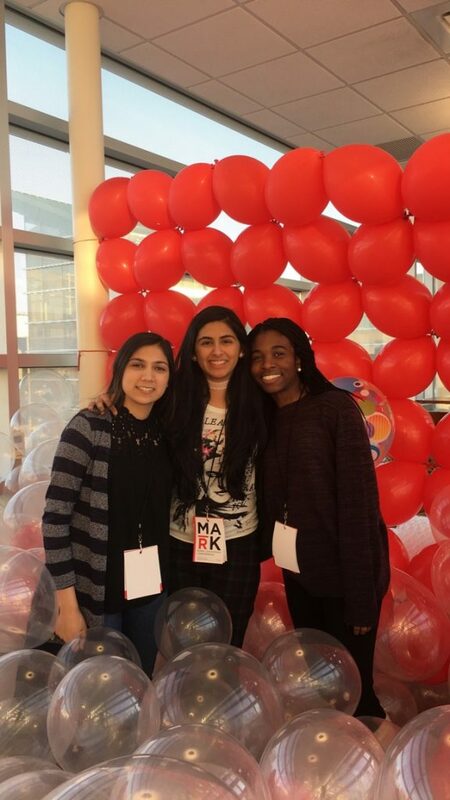 Last week, I attended the Mark Conference for the first time as they celebrated their 5th anniversary at Rutgers. The Mark conference runs through the Leadership department at Rutgers and is one of their biggest events all year. The conference features guest and student speakers from a plethora of backgrounds with extraordinary stories to tell. I couldn’t attend every breakout session, but these are my personal account of all the highlights that day. Get ready to be inspired. 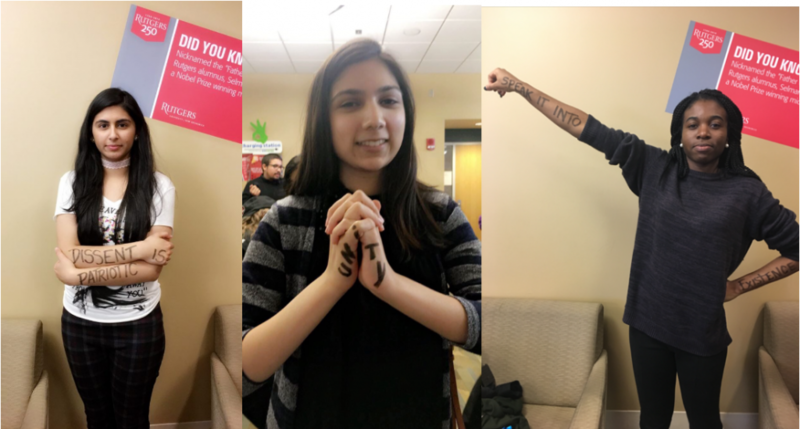 The creator of Dear World has, at this point, traveled all over the globe to photograph people and ask them to write something on themselves that is individually meaningful to them or describes their story in some way. He spoke at length about this project and how it has taken off over the years in terms of popularity. My friends and I missed the Dear World photography session during Leadership Week in the fall, and so we were elated to find out that there was another one at the Mark Conference. To say that spoken word poet Rudy Francisco has a way with words would be a tremendous understatement. Personally, I love listening to Button Poetry on YouTube and attending Verbal Mayhem meetings where Rutgers Students have the opportunity to present their own poetry and various other performance arts. It was a great experience hearing him speak about his life and present his poetry. He also had a question and answer session where he answered questions about his career and inspirations (He loves Chance the Rapper by the way, in case you needed that boost to look him up). These guys had us chanting “Bad and Boujee Leadership” halfway through their presentation, which if you can’t guess from just that, was amazing. Lenny Williams and MrJeffDess are the founders of Trill or Not Trill, Trill meaning “True” and “Real.” Their presentation took place during one of the breakout sessions and so there was only a small group people in the room. Their impact on me, and I’m sure many others in the room was unmeasured. They took hip-hop and related it back to how we should conduct ourselves in our everyday lives. The related the ad libs in the song ‘Bad and Boujee’ (Cook it!, Wah etc) to how we should be the ad libs in any successful endeavor we come in contact with. In a nutshell, they were telling us to interrupt success in a way that adds something extra to make it better. 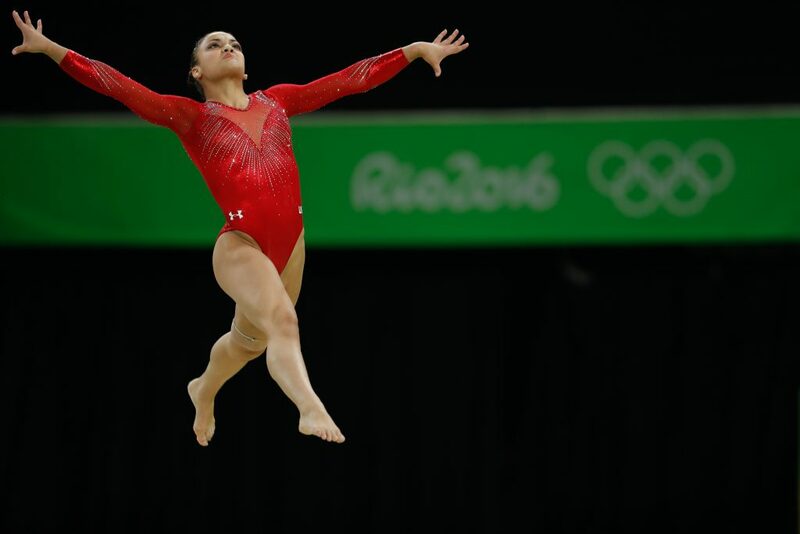 Olympic Gold Medalist for Gymnastics and Human Emoji from New Jersey Laurie Hernandez was the last guest on stage. She was interviewed by the graduate intern from the leadership department Alyea Pierce. Hernandez exuded confidence and comfort but was also very personal when talking about how her family always believed in her even when she didn’t believe in herself. One unfortunate thing we did find out, however, is that after winning at the Olympics an athlete can either choose a full scholarship to college to play a sport or go professional. Hernandez decided to go professional and so she will not be able to do gymnastics at Rutgers, but at least we have her brother. Kyle MacDonald’s speech was entertaining from start to finish. His enigmatic manner of storytelling engaged the audience in his journey from being a guy with a red paper clip through his entire journey of making trades until he eventually ended up with a house. It provided a great lesson on risk-taking and is definitely something I won’t forget about anytime soon. The story was as hilarious as one could expect and ended with a reminder that MacDonald’s quirky adventure days are far from over. Before leaving the stage, he invited us to visit whoaretheseguys.com where there is a picture of a group of guys that MacDonald is in search of at the moment. No one can seem to find them. Take a look to see if you can help out. This energizer was a really cool experience where you got to experience a kind of Virtual Reality without dropping term bill level money. There were all different scenes, from riding a roller coaster in the city to your ride breaking down in an amusement park to combat scenes. One of the energizers available to attendees between speakers was The Balloon and Bubble Bridge. And let me tell you, the Bridge was truly a dream. With a floor lined with bubble wrap and bursting with balloons, I didn’t even mind the static-y state of my hair post-bubble room. 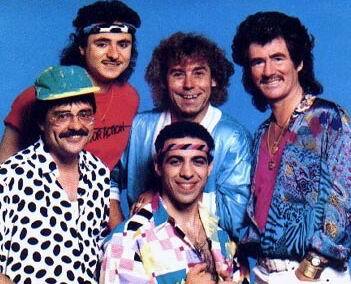 To give you a glimpse of the joy, here’s a picture of me and my friends having the time of our lives.